You don’t mess with people who’re worth 1.2 billion dollars. Anand Mahindra is one of the old-school industrialists who’s active on Twitter. Mahindra tweets regularly, and has managed to amass over 4 million followers. Most people tweet to him with fawning praise, or feedback, that he’s remarkably fast to react to. But there’s always the odd snarky user. Mahindra is a known car enthusiast. 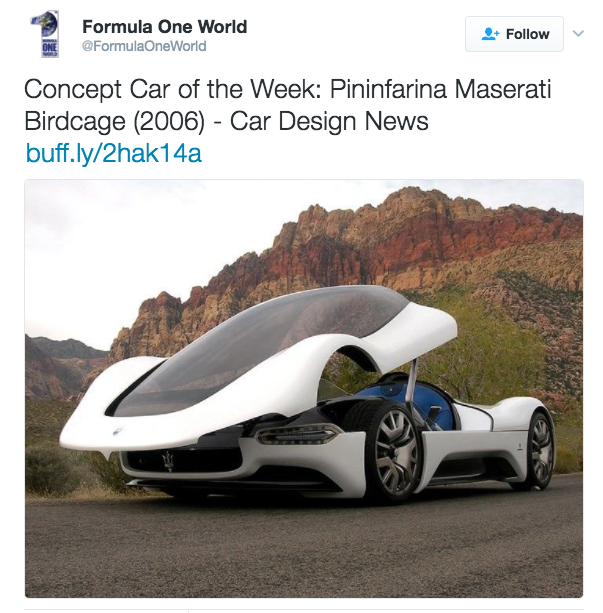 Today, he had tweeted about a car – the Pininfaria Maserati Birdcage. The car is a beaut, and Mahindra wrote that it wasn’t a cage he’d mind being imprisoned in. Twitter user Siddhanth Khanna thought that Mahindra was a billionaire – surely he needn’t be wishing for things. “What stops you from buying it? Go for it,” he wrote. @anandmahindra what stops you from buying it?Go for it. But Mahindra had already done one better. Turns out in 2015, the Mahindra group had acquired Pininfarina, the company that made the car, in a deal worth about $185 million (Rs. 1,300 crore). “We bought the company instead,” he cheekily tweeted. The tweet has since gone viral. It’s also spawned a variety of responses. @anandmahindra@rishibagree presenting you the most savage boss!